Hi readers! I'm in the Lone Star State enjoying the best eats and sights the South has to offer. In the meantime, Emily from Running for Boston agreed to share her fueling strategy. She's training for a BQ marathon, so she has a lot to say on the topic! Kelly asked me to tell you about my own personal fueling strategy. She has perfect timing as I was going to write a post about ‘fueling’ anyways…and because I have a FrogFuel giveaway on my blog, starting Monday! When athletes discuss ‘fueling’, it’s almost always equated to the fuel you consume to get ready for or during a race. However, fueling is so much more than that. 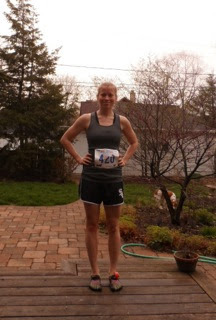 If you have read my blog (or just the title), you know that I’m running for Boston. More specifically, I am training to qualify for the Boston Marathon. My qualifying race is this year’s Chicago Marathon, which takes place in October. I’m about a month into my official marathon-training plan and it has me on a pretty rigorous schedule. Everything I put into my body is important fuel for my training. Fuel is what allows me to keep pushing my body that extra mile or to run even faster and what helps me recover. I am not going to claim to have the perfect runner’s diet….I don’t. But because I’m on a rigorous schedule, I’ve become hyper aware to how awful my body feels on a run if I haven’t eaten enough. 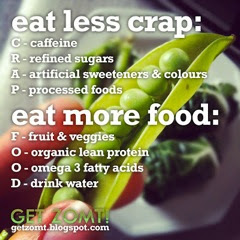 Everyday, I’m constantly fine-tuning my diet to be better than the day before. I don’t count calories or even pay attention to daily caloric intake but I usually try to consume about 2200-2400 calories. I’ve counted calories enough in the past to know if I’ve hit my mark. Breakfast: Coffee, whole-wheat cereal (my favorite is 365 - the Whole Foods brand - Frosted Wheat Squares) and sometimes a homemade smoothie with a scoop of Whey protein. Lunch: Usually the previous night’s dinner which is almost always a rice and beef dish or a pasta dish of some sort. If I go out to lunch with colleagues or friends, I’ll always make sure a salad is a part of my meal. Snacks: I don’t really snack if I’m not at home as that’s where I keep all my snacks. When I’m at home, I tend to snack on grapes and bananas or whatever’s in the fruit bowl. My one downfall in terms of snacks is the combination of cheese and crackers. I’m a sucker for really smelly (which obviously means really good) cheeses. I indulge myself in cheese and crackers maybe two times a week. Dinner: I’ll have a home cooked meal, which usually consists of pasta, rice and beef, or burgers with a glass of wine. Dinner is the one meal where I really don’t give a second thought to what or how much I eat. 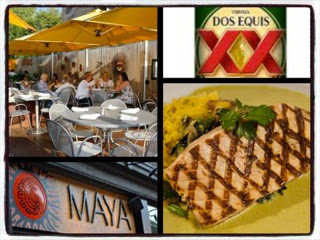 For me, dinner is the meal where I get most of my carbohydrates in and what catapults me to my daily caloric goal. If I go out to eat (usually at least once a week), I try to eat healthy and like lunch outings, I’ll usually have a salad somewhere on my plate. Dessert: I don’t really do dessert but I don’t hold myself back from it either. I’ll have the occasional bowl of ice cream after dinner and if I go out to eat with friends, I’ll split dessert with someone else. H2O: You might have noted that water is not mentioned in any of my regular meals/snacks. To be quite honest, I’m much more of a coffee drinker. Though, I’ve recently restricted my caffeine intake and drink water as my alternative during the day. This means, I’m drinking water and staying hydrated throughout the day. You can read my post about it here. 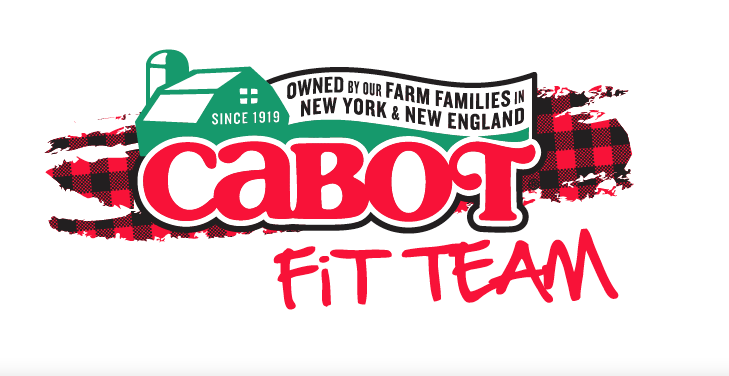 When fueling the night before a race or long run, I will consume more carbohydrates and protein and skip dessert. The morning of the race/long run – I don’t eat much. If I’m going more than 8 miles for a long hard training run or gearing up for a race, I’ll eat some cereal an hour beforehand and/or a banana prior to the run. I will also drink water before and after I run, usually mixed with Accelerade (a protein powder). Accelerade is a good supplement to take before, during, and after runs. The only time, I’ll drink during my runs is at the gym if I’m on a treadmill or out on the course when there are water tables. (My long run route along the Chicago lakefront is pretty popular for running groups so I always pass at least two water tables). After a long run or a race, I always make myself a smoothie with whey protein and eat a banana (for potassium) to help recovery. As I said earlier in this post, I don’t pay too much attention to what I consume. That said, I’ll eat if I’m hungry which is pretty much all day after a race (hence the healthy snacks). On Saturdays, when I do my long runs, I’ve started experimenting in how I want to fuel during the marathon in October. The fuel that I have the most experience with is Gu Roctane and Gu Chomps. Gu Roctane: I will consume a packet of Gu Roctane about 15-20 minutes prior to my long run/race and then abut every 3-5 miles thereafter. (It’s recommended that you take Gu about every 30 minutes if you have an athlete’s metabolism and every 45 if your metabolism is slower. Source: Guenergy.com). Gu Chomps: I’ve only used Gu Chomps once so far. I used them in my last race – the Chicago Women’s Half. 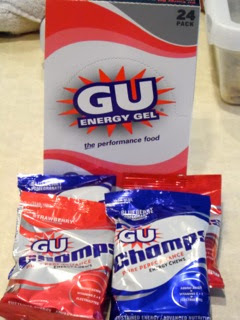 I consumed one pack of Chomps to fuel before the race and during the first eight miles. Gu Chomps are like gushers and there are about 8 chomps per bag. I took 4 chomps 15 minutes prior to the start of the race and then I had a chomp about every 2-3 miles. The Chomps worked well for the race. I wouldn’t be opposed to using them again but I think I prefer the liquid gel consistency. I’m not loyal to any one fuel for the marathon just yet. I like and am experienced with Gu so it’s definitely the fallback if it doesn’t end up being my final choice for marathon fuel. The one constant that I always do in terms of fueling: I really listen to my body to regulate what I consume. I’m exerting a lot of energy during my training so I’m hungry pretty much all the time. On that note, I know that sweets and junk foods will make me feel terrible and will not help my running in the least. So, I tend stay away from that aisle in the grocery store and make sure to buy plenty of fruits and vegetables. On a final note, fuel is very personal to athletes. For example, I don’t mind cereal with skim milk before a hard run or race but a lot of runners I know can’t deal with dairy before their runs. A great place to start learning about how to fuel for your runs is Runner’s World. I found a great article on runnersworld.com about pre-run fuelling. While training, experiment with different fuels and see what works best for you. There are so many out there to choose from. If at first, you don’t succeed - try, try again. Though don’t try anything new on race day. Race day is the time to use full proof, tried and true methods. 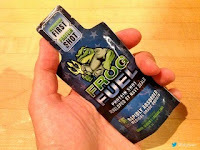 Be sure to check my blog, Running For Boston, on Monday to enter for you chance to win FrogFuel!